The National flower of Vietnam, Lotus is known as an exquisite flower, which symbolizes beauty, majesty, grace, fertility, wealth, richness, knowledge and serenity. Appearing in many legends, the lotus is looked upon as a symbol of divine beauty. 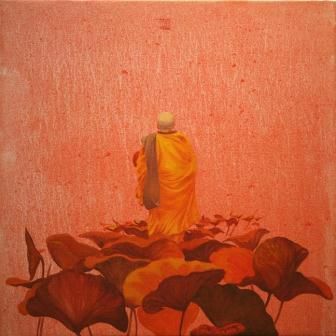 In the Asian religions and cultures, especially, in Buddhism and Hinduism, lotus flower is the embodiment of perfection. The magnificent lotus flowers emerge from the dirty and murky bottom of a pond, and yet remain untouched by all the dirt and mud of the environment, in which it grows. This unique quality of the flower is believed to represent the pure spirit. 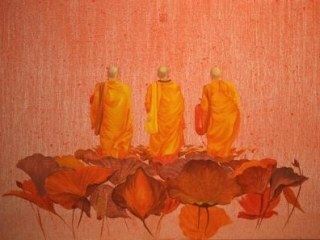 By placing his monk on a platform of lotuses, Phuoc represents the purity of spirit embodied by the monk himself, and his pursuit of emergence from the earthly realm into the spiritual, accentuated further by his meditative use of swathed orange and expansive space. 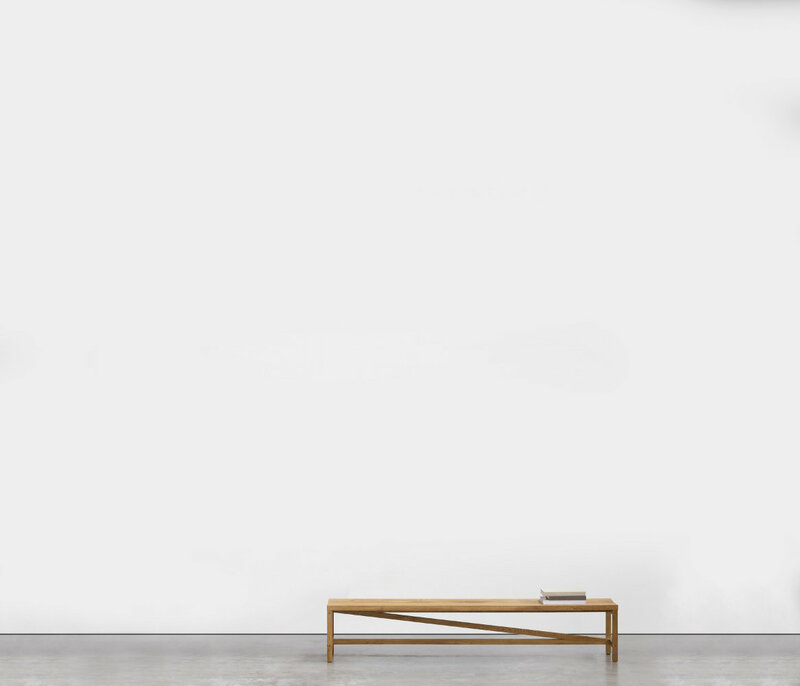 I'm interested in this Lotus Bloom by Minh Phuoc. Please advise availability and price. Thank you.